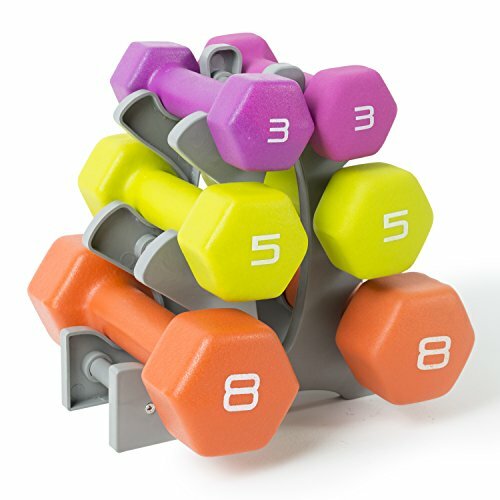 Tone Fitness hex shaped dumbbells are the perfect addition to any strength training routine. You can improve your appearance, strength, muscle to fat ratio, bone density and even your walking performance by adding strength training workout routine. The dumbbells are "hex" shaped to prevent rolling when not in use. The neoprene coating helps protect your floors, provides an easy grip and is sweat resistant.